Have you stated your weekend shopping list yet? Probably not, there is a few days yet. Nevertheless, don't forget to put fresh English strawberries on the list. Yes, strawberries! 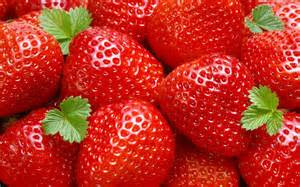 One of our favourite summer fruits are due to hit the UK's supermarkets this weekend, a week earlier than last year after the mildest winter in 300 years. 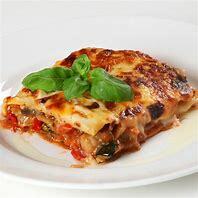 The home-grown produce is set to arrive on the shelves later this week, as a result of temperatures in central England having been an average of 7'C this winter - the warmest since records were first collected in 1959. 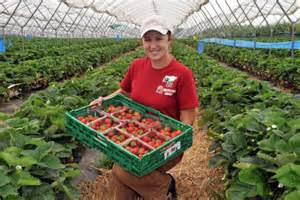 The first batch of strawberries to hit the supermarkets have been grown and ripened on the Hall Hunter Farm in West Sussex (below), where conditions have been exceptionally mild. Also across other parts of the country as a whole, the average temperature in the winter months of December to February was 6'C, well above the long-term norm of 3'C. This makes it the third warmest across the UK since records were collected for the whole of the country back in 1910. 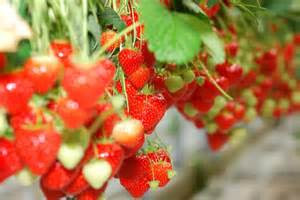 Waitrose strawberry buyer Nicki Baggot is reported as saying that spring is now well on its way. However, despite the mild weather so far, weather forecasters say cold air could be driven south over Britain this month and in early April. Get those first English strawberries this weekend, who knows, there could still be snow!